West Vge At Shir Bldg. Historic Arlington is the jewel of the Suburban Washington DC area. Nestled along the great Potomac River, Arlington watches over the DC area as it has for hundreds of years. With its historic beauty and modern design, Arlington is the jewel of Northern Virginia, offering professionals easy access to the DC corridor, all while providing quiet, genteel homes and neighborhoods that seem to be centuries away from the hustle and bustle of the Nation's capital. Arlington is growing at a healthy rate and offers all the amenities, structure, features, parks, great schools, shopping and history that one area can provide. While Arlington was once home to famed Civil War General Robert E. Lee and George Washington's family, the cozy little Virginia nook that provided many military leaders easy access to the government and the commands they oversaw has grown into a sprawling thriving metropolis. Yet it has managed to maintain all of its grace and beauty over the years, getting more aesthetically appealing as well as functional with its modern urban design. Today Arlington has a large population of over 220,000 happy inhabitants. 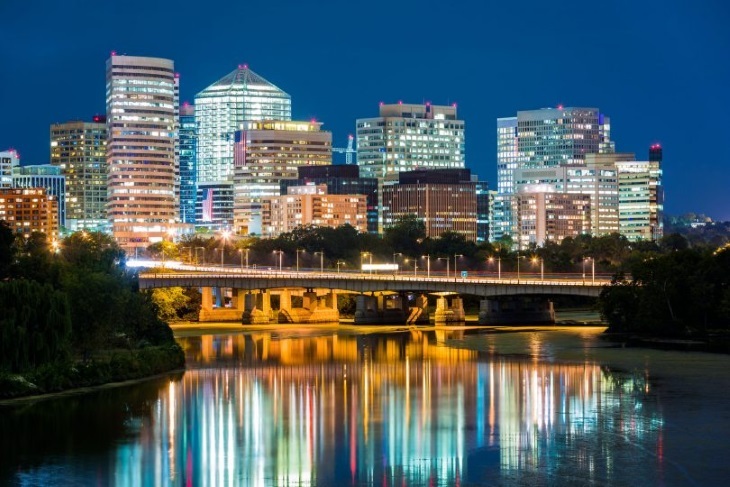 It is the 4th largest community in Virginia in fact, and the real estate, from Lee Heights to Rosslyn and Buckingham, is the most valuable in the State and lists among the most valuable real estate in the country. Arlington boasts a thriving downtown is and over 50 quiet suburban neighborhoods to choose from as well. With easy access to the Chesapeake Bay, Arlington is filled with natural parks, playgrounds, and natural areas and watersheds. Arlington boasts a strong, environmentally conscious Natural Resources Management Plan as well as an Urban Forest Master Plan. All urban development plans include water management plans, proper drainage, and stormwater and watershed protection. There are ample recycling facilities and Arlington's long-term Master Energy Plan has won National Awards for its environmentally sound principles. The schools in Arlington are among the best in the nation. Arlington has 39 public schools with just shy of 24,000 students enrolled in them, meaning class size is quite exceptional. As Arlington is keen on smart growth, intelligent urban planning, and excellent urban design, transportation routes and public transportation facilities are excellent. 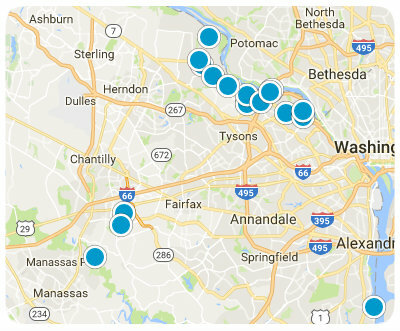 Arlington features an excellent Metro subway and bus facility and is located along Route 1 for easy auto access. Curious to know what homes are selling in your neighborhood? Sign up here for Arlington Market Report to be up to date on real estate market statistics. Wondering how much your Arlington home is worth? Learn more here! Search the #1 site for Arlington Real Estate listings.